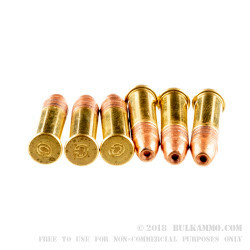 Perhaps you’ve never paid this much for general everyday use .22 LR ammunition, but you’d be surprised just how worth it this case lot is. 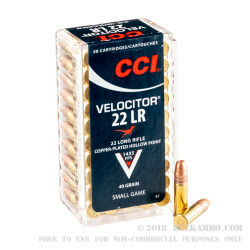 The level of consistency is so far beyond what you’re used to in bulk .22 LR buys and the tolerances, velocity, number of use cases and exceptional accuracy all make this one of the best bulk rounds you can buy for the .22LR. 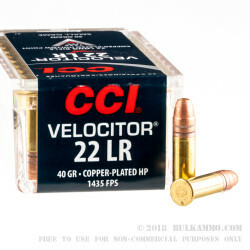 This load is very similar to the "Stinger" cartridge that CCI has been making for years and which offers some of the best .22LR performance on the market. The biggest benefits to this round are the exceptional accuracy and trajectory flight path out to nearly 325 yards. This load is unbelievably capable at distances most .22LR is falling flat. It provides and exceptional point of aim to point of impact through to 200+ yards - much better than competing .22LR. The build quality is superb. When you look at it, you can see the fit and finish and tight tolerances that have made this round so highly touted. Another important note: this is perhaps the cleanest ammunition you can shoot out of most .22LR firearms. And the lack of fouling and high accuracy, combined with the reliability makes this a very interesting choice for the avid .22LR shooter out there. 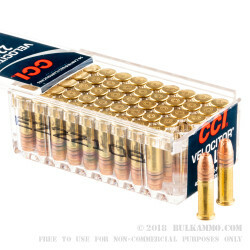 CCI has a real winner on their hands, and despite the very high price for rimfire loads (approaching some centerfire load retail costs), it is worth every penny if you want to outperform in the field or on the range. Q: What is the velocity of the velocitor? A: This ammo is listed at 1435 fps. CCI does not list the length of their test barrel.